Supporters are holding a benefit fundraiser to help Buttons pay his medical bills. 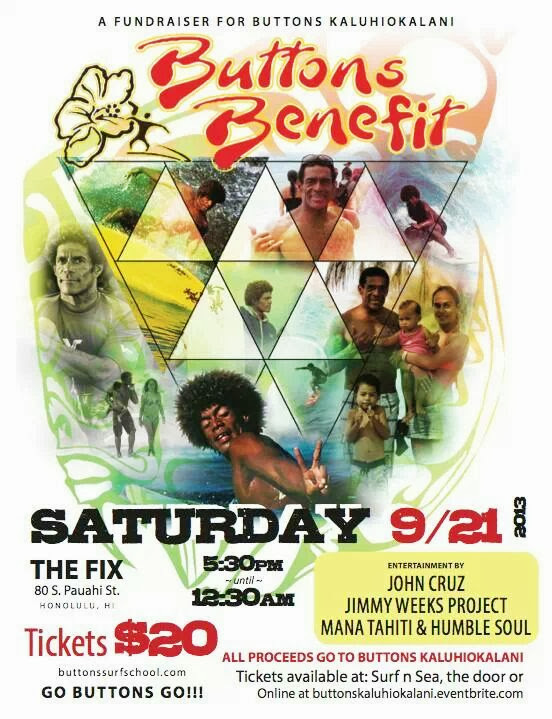 It will be on September 21 at The Fix at 80 S. Pauahi Street. Tickets are available at Surf n Sea, at the door, and at buttonskaluhiokalani.eventbrite.com. Come and join us to help raise money for the Kaluhiokalani family! John Cruz and other local musical performers .